Hasbara is the Hebrew term for advocacy for Israel and Israel’s public diplomacy, the Israeli public relations. 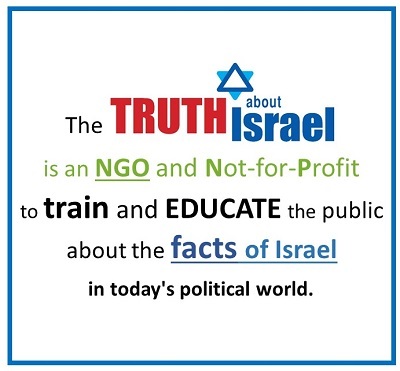 In this day and age of instant news and widespread dissemination of information, it is important to have real-time advocacy, and especially in the case of Israel, which faces a constant slew of PR attacks against it. Failing to destroy Israel on the battlefield or through economic means, Israel’s enemies now concentrate their effort on political and legal warfare against Israel, in order to delegitimize it, turning Israel into a pariah-state, which will lead to isolation and hardships. The de-legitimization campaign against Israel is also designed to strip Israel of its rights for self-defense. This campaign is systematically orchestrated and financed by the Palestinian Authority, employing a worldwide network of Non-Governmental Organizations (NGOs), who are either misguided, misled, or in some cases anti-Semitic. How did Israeli Hasbara come to be in this situation in the first place? What part does Social Media play in this? Where does Israeli Hasbara go from here? What is the mission of the future? How can the Hasbara war be won? What are the Palestinians’ tools for the delegitimization of Israel? 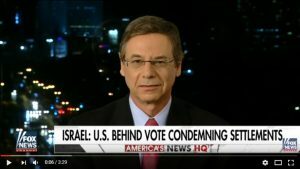 In the first years after Oslo, Israel atrophied its Hasbara machine, working under the assumption that if a plan worked, it would explain itself, and that the Palestinians would stop their political and PR attacks against Israel. The Palestinians, however, didn’t follow that same plan and continued inciting against Israel. Because of that, and the automatic majority in the UN, we have lost European public opinion. Israel acted out of naivety, trying to come from a point of cooperation. Now we see that the Palestinians never wanted to cooperate, and because of that, their propaganda machine is well-oiled, while the Israeli Hasbara faces more challenges. Social Media, such as Facebook, Twitter, YouTube and other outlets play a very important role. Facebook has 1.3 billion users, YouTube 1 billion users per month, Twitter 200 million users. Each and every person approached over these venues is another person that is seeing the direct message, without interference from editors or others who would choose to change the message. For every online ambassador arguing the Israeli side, there are 70 or 80 others standing against them. Therefore it is imperative that these sites be utilized to their full efficiency, helping to spread the message to all four corners of the globe. Win this battle, as we’ve won every other battle we’ve won: military battles, economic battles and terrorist attacks. Now the Palestinians are trying diplomatic attacks and lawfare. There is a network working against us, and we must create our own network to work together and explain to the world what Israel is, dispelling the lies being thrown against Israel. Those who are fighting us are very dedicated. We must fight with all available means, restructuring and strategizing, so that within 1-2 years’ time, when they think about Israel, they will think not about conflict, they will think about tourism, history, archaeology, innovation, creative energy and beautiful Israelis. 2) Dispel the lies by telling and repeating the truth. Respond quickly and in real-time to any of the lies and accusations of the Palestinians. 3) Be proactive and not only reactive. Discuss proactive issues of Jewish rights and justice for Jews. Expose Israeli society to show its democracy, pluralism, human rights, innovation and creativity, contribution to the world and quick mobilization to help other people and nations in need, like Haiti following the earthquake and the tsunami in Japan. 4) Use social media to create volume, reaching a critical mass so people will get to know Israel first hand, and not through the biased eyes of its enemies. What are the Palestinians’ tools for the de-legitimization of Israel? 1) Teaching a virulent anti-Israeli and anti-Jewish curriculum, and disseminating it to other Arab and Muslim countries. 2) Pushing governments around the world to use harsh rhetoric and condemnations against Israel. 3) UN resolutions against Israel, condemnations and inquiry commissions, such as the Goldstone report following Operation Cast Lead, Israel’s operation in Gaza to uproot terror in 2008-2009. 4) Outright lies to the media, like in the case of the Palestinian child Muhammad al-Dura, killed by Palestinian gunfire but presented to the world as if we has killed by the IDF. Another salient example is the “massacre” in Jenin during Operation Defensive Shield in 2002, when Palestinians claimed that hundreds of civilians were killed by the IDF, and the facts showed that in reality, only 50 Palestinians were killed, 48 of them armed, during a fierce battle that also claimed the lives of 13 Israeli paratroopers. 5) Using biased terminology, such as “Apartheid Wall” to describe the fence Israel built to keep out Palestinian suicide bombers, or describing Judea and Samaria as “Occupied” territories instead of using the proper term of “Disputed” territories. 6) Buying campuses in major colleges around the world, and installing professors who teach one-sided history against Israel. 7) Using and employing NGOs and human rights organizations that they finance and manipulate. 8) Creating websites and venomous anti-Israeli and anti-Jewish material on the internet. 9) Using their network, calling for and enforcing boycotts, sanctions and divestments from Israel.